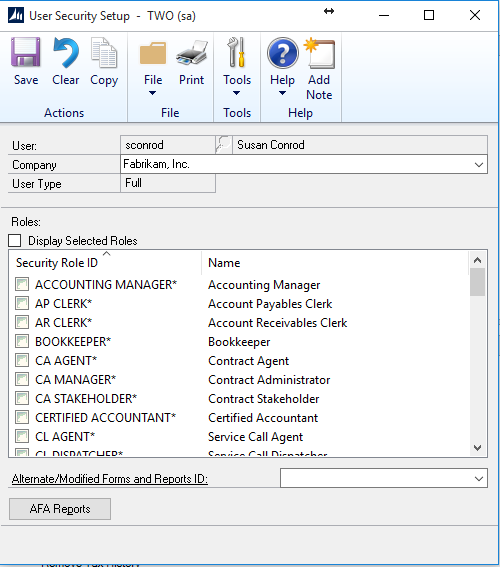 To add a user, you must log in as SA (system admin) or a user who has administrative privileges in Dynamics GP and in SQL Server. User: Setup the user with an ID and password. 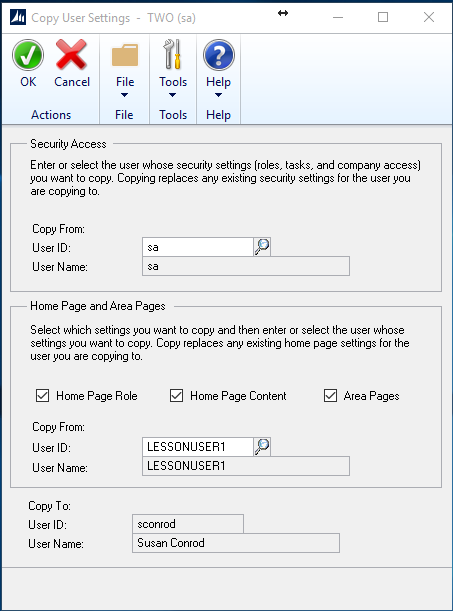 You can go to “Copy” once you create the user and copy the setting from another user that has similar or the same rights that you want this user to have. It will follow the expiration policy of Active Directory and expire based on your current expiration dates. You can give the user a temporary password and when they login it will immediately ask them for a new password. Do you want to add them as a collector? Verify the copy to setup. This will copy all company and roles that the other person has and if the Home Pages and content and area pages are copied it will give them the same setup that the other person currently has. Check off the companies that the user will need access to. If the user is setup in another company, and you just want to give them the same access, you can go to “copy” from a company they already have and COPY that access to other companies (new company). Alternate/Modified Forms and Reports Id: Usually have one for all users and one for users with special privileges such as Mekorma MICR (check printing). Once a user is set up you can send them their credentials and they can log in and change their password immediately. Important: When you delete a user, any transactions that they had entered into the system will still have the userid associated with them. You will not lose that data. 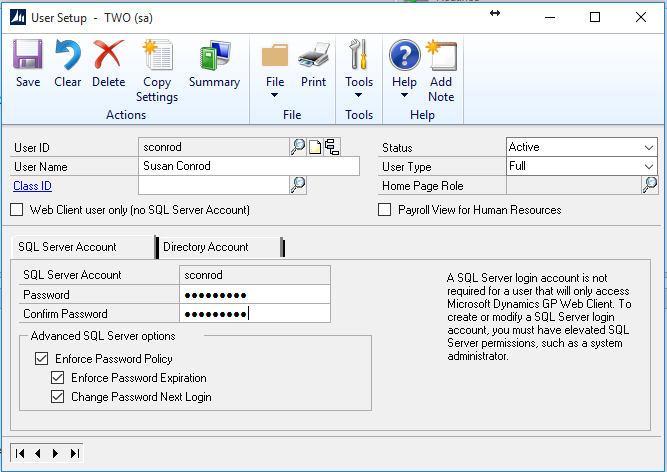 Log in to Dynamics GP as “sa” or an administrator within SQL and GP. 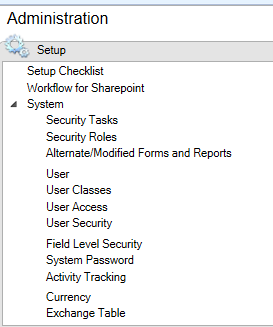 You will also need to log in to SQL Server Management Studio and delete the user from SQL. 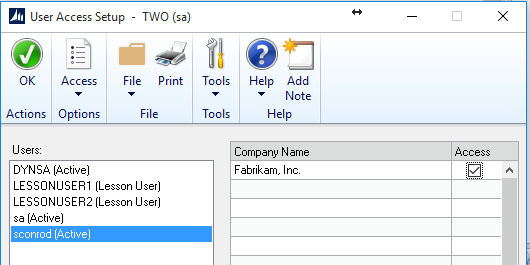 The user will exist on all tables that record “user who created” and “user who posted” but user will not be able to access Dynamics GP again.